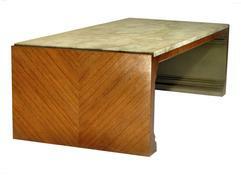 Rectangular cocktail table with steel superstructure supporting Burmese oak end panels and a marbleized top. Lacquer painted inside end supports, in "#903 Silver Gray" color. Faux painted marble top is removable. Very Good Original condition. Table has had very little use, but does show some cracklature to the lacquer on the top surface. This table is a design prototype that never entered production. 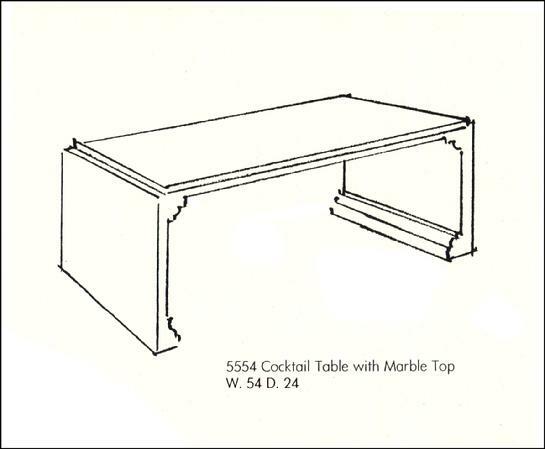 It appears, however, that the table was assigned a style number (#5554), and was at least initially planned for inclusion at the October High Point Furniture Show in 1984. Acquired from former Baker sales executive, purchased and removed from Baker Grand Rapids factory, 1986. This table is believed to be a unique item. 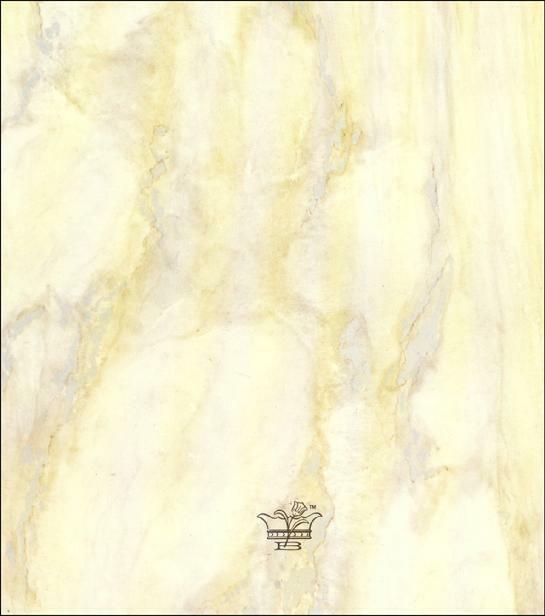 Of additonal note is that the faux marble top used for this prototype, likely hand painted by Ms. Arloa Perez, the department head in the Baker hand Decorating department at that time, was used as the actual photo sample for the marble background used on the Facade Collection sales catalog. Cocktail table sketch from original Baker 1984 "Press Kit"